Riri Williams, the star of the next iteration of Marvel Comics’ Invincible Iron Man, has finally figured out her superhero name. The 15-year-old prodigy will take to the skies with her own suit of Iron Man armor under the new name of Ironheart. Earlier this summer, Marvel announced that Riri would be taking over for Tony Stark with the launch of Marvel NOW! Some fans took issue with the idea of a young girl going by the name Iron Man, but the Ironheart moniker solves that problem. However, writer Brian Michael Bendis reveals that Ironheart wasn’t the first name that Marvel came up with for Riri. Riri built her own version of the Iron Man armor in her dorm room at MIT, using whatever spare parts she could scavenge. In the latest issue of Invincible Iron Man, Riri’s test flight brought her to the attention of Iron Man himself, Tony Stark, who wants to sanction Riri’s acts of heroism and serve as a mentor. Stark will help build Riri a new set of armor (seen in the cover art in the gallery below) with an interesting twist. Riri’s on-board A.I. will be modeled after Tony’s own personality. This explains why Tony appeared as a red hologram, the form used by Tony's Friday A.I., on the Invincible Iron Man #1 promo art in the Marvel NOW! Previews Magazine, but it still doesn’t explain what happens to the actual Tony Stark in the aftermath of Civil War II. 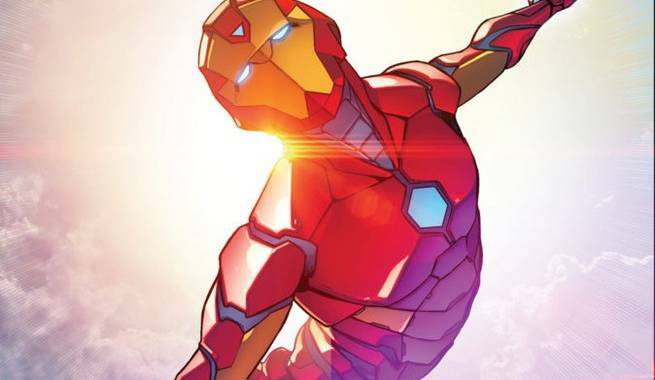 Riri Williams taking on the Iron Man mantle, even if it is under a different name, is just the latest in a recent pattern at Marvel of iconic superheroes passing their persona on to a new generation. These new legacy heroes are made up largely of women and minority characters, including Kamala Khan as Ms. Marvel, Miles Morales as Spider-Man, Jane Foster as Thor, Amadeus Cho as Hulk, Sam Wilson as Captain America, and Laura Kinney as Wolverine. The divide between the old guard and the new was made explicit by a set of dual Marvel NOW! teasers released earlier in 2016. Invincible Iron Man #1 goes on sale this fall.